Malala Yousafzai: Ten men sentenced for 2012 attack, but shooter believed to be still at large (UPDATE: New reports say eight were freed). Malala Yousafzai at the United Nations in 2014. Update, June 5, 2015: Newly released court documents indicate that eight of the 10 men who were reportedly convicted of conspiring to attack Yousafzai were in fact freed. The reports described below were apparently based on the statement of a Pakistani prosecutor; it’s not clear whether that individual was intentionally lying or simply misinformed. A security official said none of the four or five men who carried out the attack on Malala was among the 10 men sentenced on Thursday. “But certainly they had a role in the planning and execution of the assassination attempt on Malala,” said a police official in Swat who declined to be identified as he was not authorized to speak to the media. 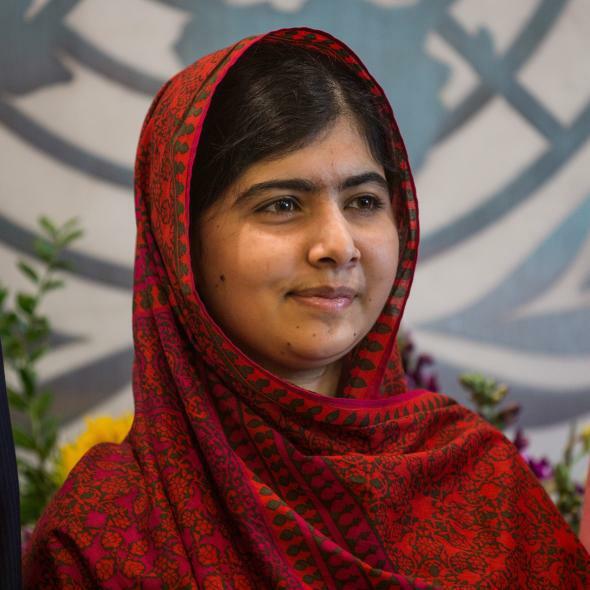 Police believe the gunman who shot Malala escaped across the border into Afghanistan. Several people, including Pakistani Taliban leader Fazlullah, are wanted in connection with the attack on Malala. The “life” sentences, which amount to 25 years imprisonment under Pakistani law, were handed down by an anti-terror court in Malala’s home town of Mingora in Pakistan’s Swat Valley. Tekreek-e-Taliban Pakistan (TTP) claimed responsibility for the attack on Malala and the ten convicted men “are said to be from various parts of the Swat Valley, and to belong to the TTP,” according to Al Jazeera. Since the attack, Malala has lived with her family in Birmingham, England and continued her activism, publishing a memoir at the age of 16 titled I Am Malala: The Girl Who Stood Up for Education and Was Shot by the Taliban. Malala was awarded the Nobel Peace Prize in 2014 and continues to travel and speak about her experiences and the importance of education for girls. During a Daily Show appearance in 2013, Malala stunned the host into silence four minutes into her interview by describing the plan she had made to fight back peacefully once she learned that the Taliban had marked her for death.